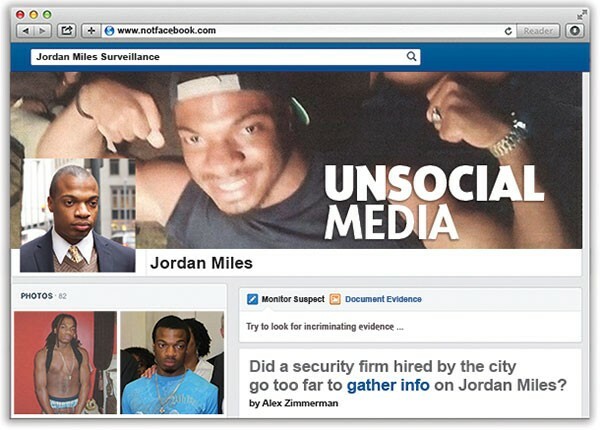 Did a security firm hired by the city go too far to gather info on Jordan Miles? "My initial instinct is it sounds not kosher." It seemed innocuous enough. Wearing a dark-blue tank top and backward baseball cap, Jordan Miles is raising his arms up to his head and flexing his biceps, grinning through a patchy beard and mustache. His father, grasping a cup in his left hand, is standing in the background in an identical stance. They're posing for a photo — one Miles thought nothing of sharing on his Facebook page. But that picture's meaning would be forever altered, eventually morphing into Exhibit 34 C: evidence that would be used to try and convince a jury that Miles was a physical threat against the three Pittsburgh police officers whom he'd accused of leaving him bruised and bloodied before falsely arresting him. That photo was just one of several taken from social media that were introduced in both of Miles' civil trials against the city and three of its officers. Some of them were profile pictures, up for grabs to anyone with an Internet connection. Not the photo with his dad. "They had to have been my [Facebook] friend to see it," says Miles, now 22. "I was shocked that they were able to go on my page." Whether Miles should have expected photos he posted of himself online to remain private is a complicated question — and the legality of using social media to gather evidence is constantly evolving. But documents recently obtained under the state's right-to-know law show that the city hired outside investigators to collect information about Miles on social media in ways that could have violated ethics rules, including creating fake profiles or trying to reach him without permission from his lawyers. 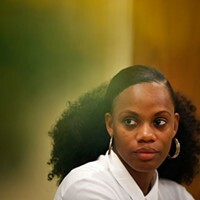 The documents show that after Miles sued the city and the officers who beat and arrested him in 2010, the city hired CSI Corporate Security and Investigations to gather information about him. 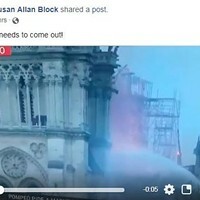 And while cities frequently investigate people who sue them, an invoice shows the city was billed for creating a social-media profile and email address not only for "monitoring of social networking profiles" but also to "connect" with Miles. "I can't imagine they set up an email account and said, ‘Hi, we're an investigative agency for the city and want to ask you some questions,'" says Steven Baicker-McKee, a law professor at Duquesne University with expertise in civil procedure. "It would be improper to go around a party's lawyer to get in touch directly through some kind of social-media outreach." Still, the documents don't detail exactly what information was collected or whether the profile used to connect with Miles was deliberately misleading. Neither CSI nor the city would elaborate. Miles acknowledges that some of the shirtless, muscle-flexing photos introduced at trial had been public-profile pictures, viewable by anyone. And he admits accepting lots of friend requests from people he didn't know — he was inundated after his case drew national headlines. But whether the content Miles shares only with his Facebook friends should have been included at trial is debatable. Opinions differ, for instance, on whether friending someone using a fake profile on Facebook is the same as creating a fake profile to view someone's public LinkedIn page. "That's how granular it gets," says Hanni Fakhoury, a lawyer with the non-profit Electronic Frontier Foundation, which focuses on civil-liberties issues related to technology. For Ethan Wall, a social-media legal expert who teaches at Nova Southeastern University, in Florida, the documents are suspicious. If "an investigator is creating a fake profile to connect with Miles, [that] raises some serious red flags about whether or not the investigator may have taken steps to access Miles' content in a way that might violate bar ethics rules."